Book Dragon's lair: Oh, why not! Some of these may be short but they are ALL single titles. NOT in reading order. I'm listing ebook & print titles on different lists. I won't do that next year! 5-10: Yes, I read fast, but some of them are very short stories, even if they are single titles. I've taken out ebooks under 100 pages. Print books under 100 have been left on the list. Yippee! Glad you are joining for this one too! The links to post your reviews are up in the right sidebar at J. Kaye’s Book Blog. But for this challenge, you'll click on the month. January is the only one up now. Liza, It helps that I'm a SAHM and hate housework! All I can say is wow...I've only read a little over half that and many of my books were thin. ;) Are you shooting for a target number? I'd like to have 200 done by the end of this year and so far, so good. But you know me...I have trouble staying focused. Oh, I am so freakin' rude! Congratulations!! I should have said that after wow, but your numbers stunned me...lol! 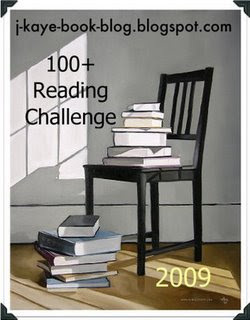 My target is not books but 50,000 pages for the Pages Read challenge.